When choosing the next piece of cookware for your kitchen, you might come across several great sounding options. In all of these different options, you must consider what the cookware is actually made of before you make your purchase. Oftentimes, we tend to get distracted by fancy features and sleek design that would look amazing on that stovetop. I know I do. As important it is to make sure the aesthetic of your cookware matches your style sense, it is equally important to choose the right material to keep your family’s health in good shape. Besides being easy on the eyes and safe for the family, good cookware should also be relatively easy to maintain, clean and cook with. Two great options when choosing cookware are ceramic and stainless-steel pots and pans. Both of them are great to work with and can produce some amazing results using your favorite recipes. But does one of them fare better than the other? It completely depends on who you are asking. Let’s put this debate to rest by going through the pros and cons of both ceramic and stainless-steel. Although ceramic cookware boasts the easy to use features of a traditional Teflon pan, the non-stick ceramic coating is free from harmful chemicals such as PFOA, PTFE and Cadmium. These chemicals are extremely harmful to humans as well as animals. They can easily leech into your food during cooking and wind up in your body. Furthermore, these chemicals also give off harmful fumes when heated to a high enough temperature and can cause harm to babies and pets, especially birds. Fatal cases of bird poisoning have been reported because of the use of Teflon pans. This is one of the reasons why Ceramic is so popular as a Teflon alternative. Ceramic pans also require very minimal use of oil and fat while cooking. This gives ceramic cookware an edge over stainless-steel when it comes to people who are watching their caloric intake. When it comes to stainless-steel safety, there is no sure shot way of giving a generalized verdict on the subject. 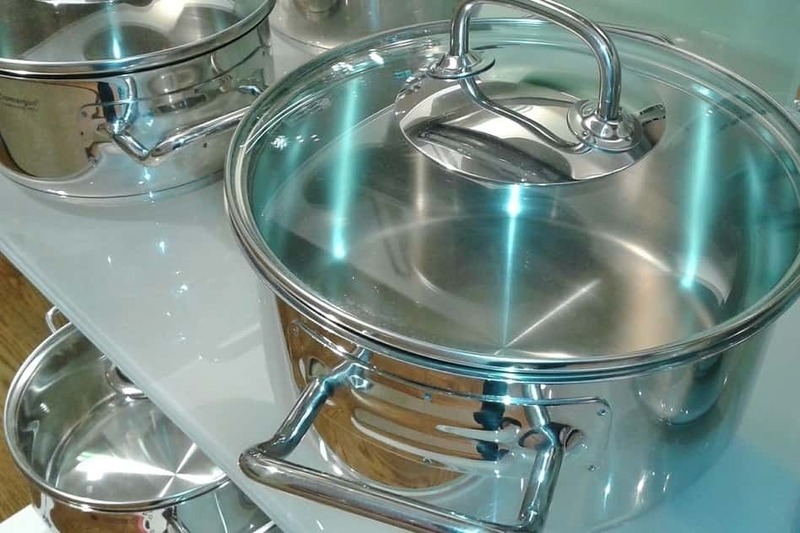 Since stainless-steel comes in so many different grades, you must be sure of the quality and composition of the brand and cookware piece individually to judge its health and safety features. Grades that contain a higher amount of nickel and chromium can cause leeching and contamination. But since the amounts of nickel and chromium that leech into food during cooking are very minute, good quality stainless-steel cookware is safe to use for a majority of people. Just be sure to recycle your stainless-steel pans if you scratch the inside bottom surface, since it can reveal the layer of aluminum added to the bottom of most pots. Since stainless-steel is not a good conductor of heat on its own, an aluminum base can help it heat up faster and more evenly for a good cooking experience. But remember, if you are someone who has heavy metal allergies, then ceramic cookware would be a much better choice for you. Ceramic cookware is extremely easy to use and would be a great choice for someone who is just starting out with their cooking adventures. Since the ceramic layer is non-stick, it’s easier to handle meat or vegetables when cooking them in a ceramic pan. The non-stick layer keeps them from burning and sticking to the bottom, giving a good end result every time you cook dinner. The non-stick ceramic surface also allows for easy food release, so you can slide the food right off the pan and into your plate. However, it is not recommended to cook with ceramic cookware on extremely high temperatures since it can cause damage to the ceramic coating on your pan. Stainless-steel is a little trickier to handle when compared to ceramic cookware. The aluminum core inside most stainless-steel pots provides quick and even heat up, but if you are not too careful, your food might burn or stick to the bottom of the surface. You need to use ample amounts of oil or fat when cooking with stainless-steel and also need to keep a check on your recipe throughout the cooking process. Unlike with ceramic pans, you can’t leave food unattended when cooking with a stainless-steel pot. Although cooking with stainless-steel can be a bit more difficult as compared to ceramic, it does add great textures and flavors to your food. You can use stainless-steel pans to sear off a steak or to give a nice crispy golden color to your chicken. 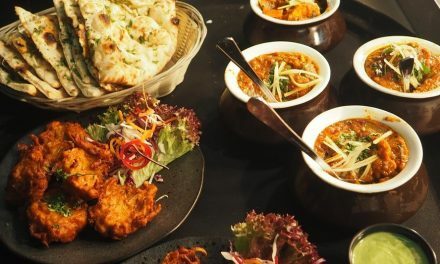 So with a bit of practice, stainless-steel can become as easy to handle as ceramic, with the added bonus of a great tasting dish every single time. Most stainless-steel and ceramic cookware is safe to use in the oven, but it’s best to check the manufacturer’s instructions before you attempt to roast or bake in it. Some of the pots and pans may come with silicon or plastic handles that might not be able to take the high temperatures in the oven. Ceramic cookware is easy to clean due to the non-stick coating on the surface. Unless you burn your food, nothing really sticks to the bottom of the pan, so cleaning it can be a breeze. Some ceramic cookware is marked safe to wash in the dishwasher, but experts recommend cleaning it by hand to avoid any damage to the ceramic coating. 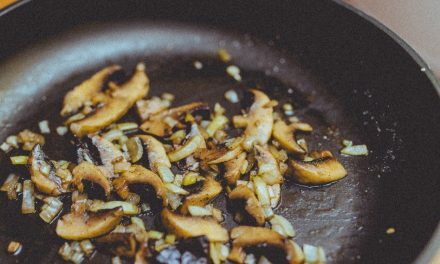 Similar to non-stick pots and pans, you cannot use metal utensils when cooking on a ceramic pan. Even though some ceramic cookware brands claim to be ‘scratch-resistant’, it’s best to stick to wooden or plastic spoons on them. If your utensil scratches the non-stick ceramic layer on your pan, it can render it useless. You can start cooking on most ceramic cookware straight away, without the need to season it. With stainless-steel, however, there is a bit of pre-cooking prep that is required. 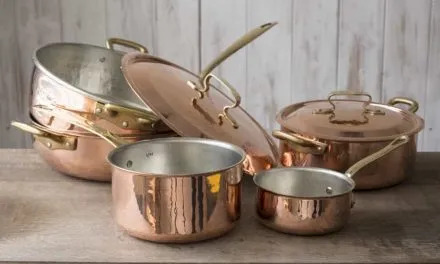 To minimize leeching of nickel and chromium in stainless-steel cookware, you should boil a mixture of water and vinegar in it at least 6-7 times. You should also season your stainless-steel pots and pans with olive oil before use to help food stick less to the bottom. The great thing about stainless steel is that it is sturdy, so it can take most wear and tear that you subject it to. You can scrub it with a metal scourer to your heart’s content, without causing any damage to the surface. Since ceramic cookware is harder to maintain and easier to damage, the lifespan of your favorite ceramic pan is not expected to be more than a couple of years. Unless you’re extremely careful and can make it last longer with the proper care it needs. Ceramic cookware can also be harder to maintain if you are not the only one using your kitchen, since your roommate or significant other might not be as careful with it as you are! The number one damage to ceramic cookware is when the non-stick ceramic layer wears off. This can cause your food to start sticking to the bottom of the pan. In the worst of cases, when the damage to the bottom layer is too much, it can also cause harmful chemicals to leech into your food, if the scratch is deep enough to reveal the aluminum core. Although the same can be said for stainless-steel since it, too, consists of an aluminum core, stainless steel cookware can be extremely hard to damage. 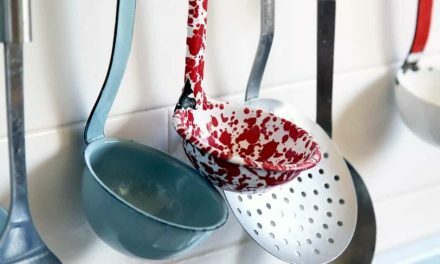 Unless you take to it with a sled-hammer or throw it across the room with full force, your stainless-steel pots and pans will not suffer from scratches or dents. But to be honest, if you are flinging cookware across the room for whatever reason, the type of cookware should be the least of your concerns. In conclusion, stainless-steel can last you decades without much care or maintenance. I am still using stainless-steel crockpots that were handed down to me from my grandmother and with the exception of the bottom being slightly dark from all those years of cooking, they are as good as new! Ceramic cookware is a great choice for someone who is looking to cook quick meals for a smaller family. It allows for safe and healthy cooking, is easy to use and easy to clean too. But it does require a bit of maintenance and care to make sure it lasts longer in your kitchen. If you are willing to get a ceramic pan, I would recommend getting one that is reasonably priced, so that you can get used to taking care of it. Once you have become familiar with it, you can invest in a more expensive ceramic pan to save it from damage. Stainless-steel is a great option for the more seasoned cook who wants to experiment with different techniques and textures while cooking. With the exception of the elbow grease that might go into scrubbing stainless-steel pans, they are relatively low maintenance and extremely durable. I hope this helps you make up your mind on whether you want to go for ceramic cookware vs. stainless-steel cookware. Do let me know your thoughts in the comments below. Happy cooking!